In the mood for a seasonal brew in Austin? Austin Beer is ready for the challenge! Tis the season to drink a pumpkin spice something, but coffee joints aren’t the only ones serving up seasonal sips. Some of Austin’s best breweries also have spicy and toasty tastes on tap. Here are five Austin beers to spice up the season. A standout among Austin beer makers, South Austin brewery ABGB, located on Oltorf St. between South Fifth and Lamar, offers a Fest Bier. Hailed as a Munich Malt Party, the marine style brew has an ABV of 5.4%. Plus it’s known for being super dog-friendly :-). Located slightly further South and just past HWY 71, St. Elmo Brewing Company provides a family friendly atmosphere and a selection of over a dozen brews. One of those brews is a Schlage Oktoberfest that boasts an ABV of 6.5%. Located on Metric Blvd, right around the corner from some amazingly affordable apartments, Celis Brewing is Austin’s original craft beer brewer. One of this season’s highlights is a Dubbel Coffee Porter. Sounds like the perfect way to warm up on a crisp Fall day. This one has an ABV of 7% making it a nice stiff Austin beer. Heading over to East Austin, Lazarus Brewing is stumbling, errr, walking distance from a handful of brand new Austin apartment complexes. And their Jolted Phoenix sounds perfect for cooler temps since it features flavors of dark chocolate, creamy vanilla, toasted almonds, with rich coffee flavors throughout. Plus, this brew’s ABV is only 4.6% so it may be a better choice if you’re looking for a lighter Austin beer. 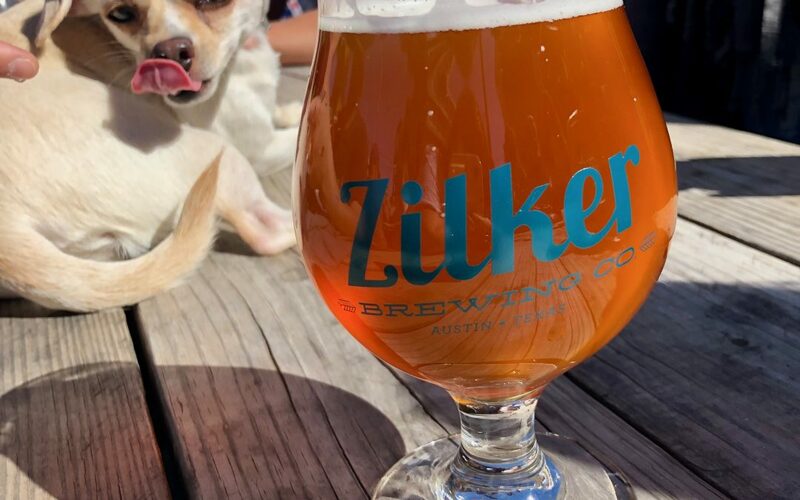 Just down the block from Lazarus is Zilker Brewing Company, owned by a few local guys who decided to follow their passion and craft out a business making Austin beer. In addition to their usual coffee milk stout and a variety of IPAs, the current seasonal beer on tap is Festbier, a golden modern day Oktoberfest style lager with a 5.5% ABV. Want to get a better feel for what each of these Austin breweries has to offer? Watch our quick highlights video. And if you’re looking to relocate and want to be close to any of Austin’s hometown breweries and pubs, contact us. We’ll find you the best deal in the ATX! really dive into the Austin beer culture? You Want It, We'll Find It!